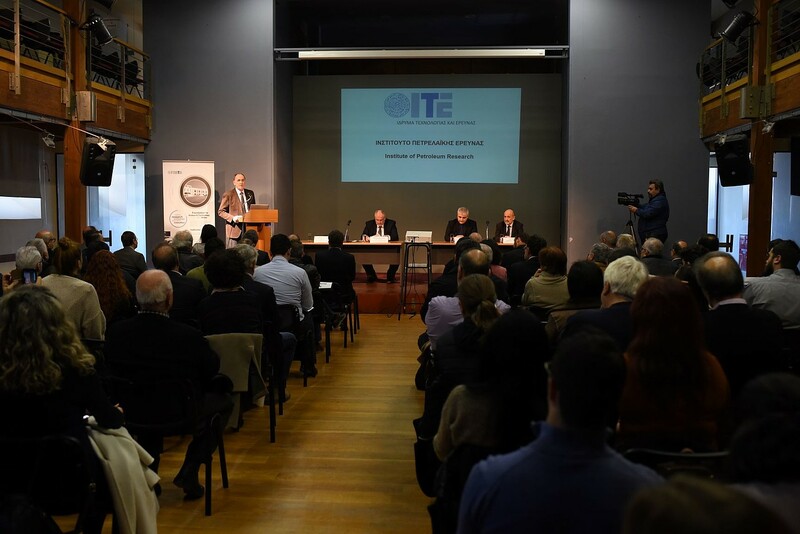 The Foundation for Research and Technology-Hellas establishes its 8th Institute, the Institute of Petroleum Research, in collaboration with the Technical University of Crete. The new Institute will be located in Chania, on premises granted by the Technical University of Crete. The relevant bill was voted by the Hellenic Parliament on January 17th, 2019. 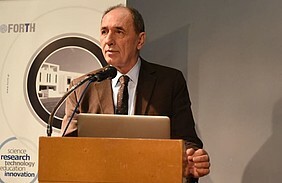 The official announcement for the establishment of the new Institute was made on January 21stduring a ceremony, open to the public, at the Center of Mediterranean Architecture in Chania. The Minister of Environment and Energy Prof. George Stathakis, the Alternate Minister for Research and Innovation Prof. Costas Fotakis, the Governor of Crete Mr. Stavros Arnaoutakis and the Mayor of Chania Mr. Anastasios Vamvoukas extended a welcome at the event. Mr. Yiannis Grigoriou, General Manager of Exploration and Production of HydroCarbons of Hellenic Petroleum (HELPE) and Mr. Yannis Bassias, President and CEO of the Hellenic Hydrocarbon Resources Management S.A. (HHRM S.A.) also addressed a welcome speech. The research directions of IPR focus on 3 main pillars: research for locating hydrocarbon reservoirs, exploitation of the reservoirs, namely, oil extraction, and protection of the environment. The main goal for the creation of the Institute of Petroleum Research at FORTH is the integration of a new research field which is of outmost importance for Greece and Europe. Its scientific activity will focus on research for locating and exploiting hydrocarbon reservoirs, and on the development of monitoring and surveillance systems for the extraction, storage, processing and disposal of hydrocarbons, which will be of outmost importance for the country and will have a substantial economic and geopolitical imprint in the coming decades. 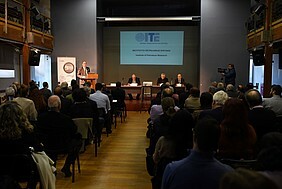 The establishment of the Institute in Chania will allow for the exploitation of the knowledge, expertise and infrastructure in petroleum science already performed at the Technical University of Crete, in combination with the knowledge accumulated at the Institute of Chemical Engineering Sciences of FORTH in Patras, where internationally recognized research activities have been developed in the last 35 years, regarding oil extraction, remediation technologies in petroleum polluted subsoil and monitoring of air pollution. Relevant research is also conducted at the Institute of Molecular Biology and Biotechnology of FORTH, where studies are carried out in the areas of ecosystems conservation and the environmental impacts of hydrocarbon exploitation. 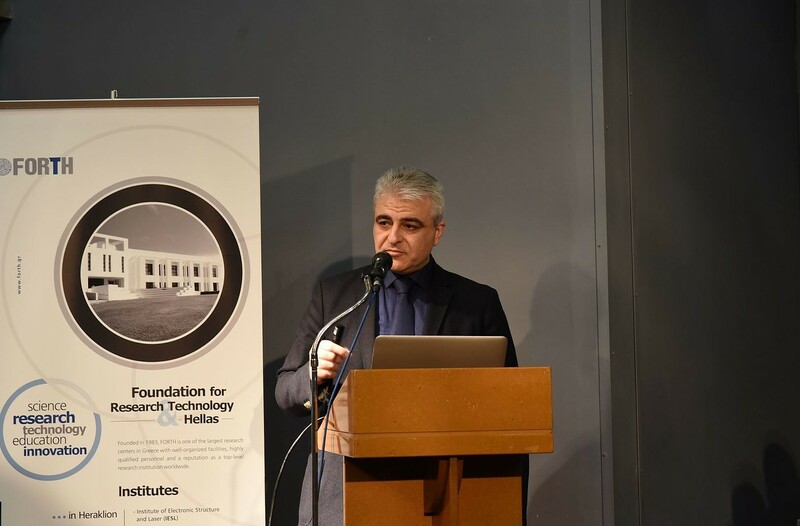 This new Institute aims to become a catalyst for strengthening petroleum research in Greece, through the development of new synergies with all relevant structures in Universities and research organizations in the country. Its ambition is to reverse brain drain, acting as a pole of attraction for new scientists (Greek or not) from abroad. 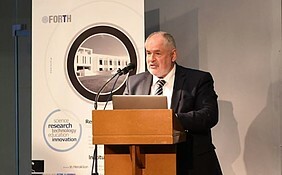 The Chairman of the Board of Directors of FORTH, Prof. Nektarios Tavernarakis stated that ‘’The establishment of the Institute of Petroleum Research of FORTH is an initiative with strategic importance and a significant research, economic and geopolitical interest for Crete and the entire country. 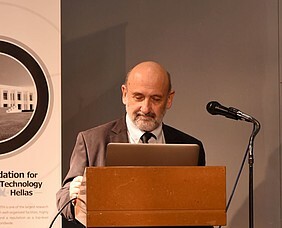 It will boost the research that involves locating hydrocarbon reservoirs and exploitation of know-how and research findings of FORTH and the Technical University of Crete’’. The Rector of the Technical University of Crete Prof. Evan Diamadopoulos stated that: ''The Technical University of Crete looks forward to cooperating with the Institute of Petroleum Research on the implementation of joint research projects, joint PhD, MSc and graduate theses, as well as on the provision of access to specialized equipment and services. The Senate of the Technical University of Crete unanimously decided to grant FORTH an area of 35 acres at the University Campus for the building of the new Institute. In the meantime, the Technical University of Crete will allocate an appropriate space of 250 sq.m for the new Institute to start its research activities until the completion of its facilities”.